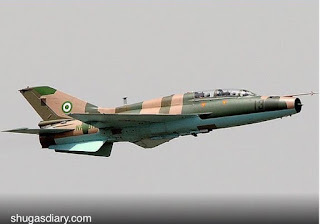 A Nigerian Air Force plane has crash-landed in Kaduna. According to the air force spokesperson, Olatokunbo Adesanya, the plane was flown by a student pilot. "The student pilot, who was the only one on board, suffered minor injuries and is already receiving treatment at the 461 Nigerian Air Force Hospital, Kaduna. "The Chief of the Air Staff, Air Marshal Sadique Abubakar, has immediately directed the constitution of a board of inquiry to determine the exact cause of the incident while efforts are ongoing to recover the aircraft," he said in a statement. The incident, which happened on Monday, was said to be as a result of an airborne emergency that could not enable the pilot fly the Diamond 40 Trainer aircraft back to the base. 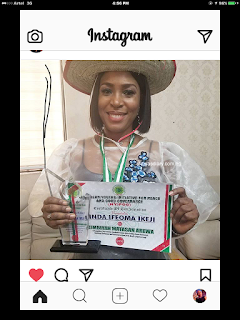 Top Nigerian blogger, Linda Ikeji took to her Instagram page to share the good news about her new title and confirmation as a Gimbiyan Matasan Arewa. The Bangalore unit of the Narcotics Control Bureau (NCB) has arrested a 41-year-old Nigerian national who is believed to be the head of the supply chain of illegal drugs in India. The accused, John Somadina aka was arrested last week on the basis of a tip off from the Ahmedabad bureau. He has been handed over the Ahmedabad NCB. It was gathered that Somadina, was a pan-India supplier of illegal drugs such as cocaine, heroin, amphetamine, etc.